Montreal is Canada’s second largest city and important industrial, commercial and financial center. 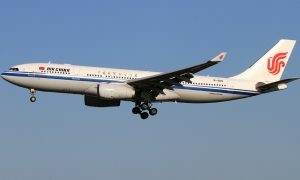 The forthcoming Beijing-Montreal service is part of Air China’s move to solidify its presence on the China-Canada market, meeting the ever increasing demand for air travel between the two countries. Currently, Air China offers 10 flights per week between China and Canada. 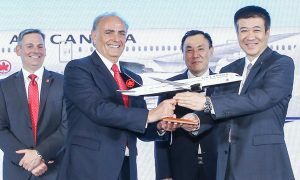 The Beijing-Montreal service will not only promote the economic and cultural exchanges between the two countries, but also benefit travelers between Southeast Asia, Japan and South Korea on one side and Montreal on the other, offering more easy and convenient travel options for connecting passengers between Asia and the Americas and other parts of the world. In 2015, Air China has been cementing its global route network with its hub in Beijing and expanding its footprint in the Americas. After Air China put Boeing 747-8, a new member of the Boeing 747 family, into service on its Beijing-New York route at the beginning of the year and increased its Beijing-Los Angeles service to three daily flights in May, the forthcoming Beijing-Montreal service will be a worthy addition to the carrier’s existing Beijing-Vancouver nonstop service. 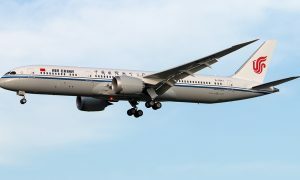 Currently, Air China serves 7 destinations in North America, including New York, Washington, Los Angeles, San Francisco, Houston, Vancouver and Hawaii, offering over 140 flights per week operated with Boeing 777-300ER and Boeing 747-8 aircraft. Comfortable cabin environment and attentive services guarantee passengers a truly pleasant travel experience.